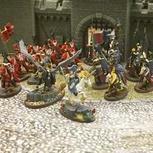 GW recently wrote an article which explains that they encourage tournament organisers to use realm of battle rules in matched play tournaments. They said that it was because units were pointed with realm of battle in mind, and that they are meant to protect against extreme (sometimes referred to as 'min-maxed') armies dominating. Seems quite interesting, what do you guys think? I think it's great! It shifts list building more towards "prepare for everything" and adds risk to "take this 1 gimmick and max out" style builds we see a lot now. Depends what you want from a tournament. If someone does take a list that will work great in one realm (because they just go for fun, not to win), then when they get it the opponent will get stomped, regardless of how good they are. It could end someones good run. Essentially it adds even more imbalance to the many imbalanced scenarios and match-ups we already have. If thats good or bad is down to what the person wants from the tournament. I think if GW is going to push for Realm battle rules to be part of the tourney scene then tournaments need to consider introducing a sideboard feature. 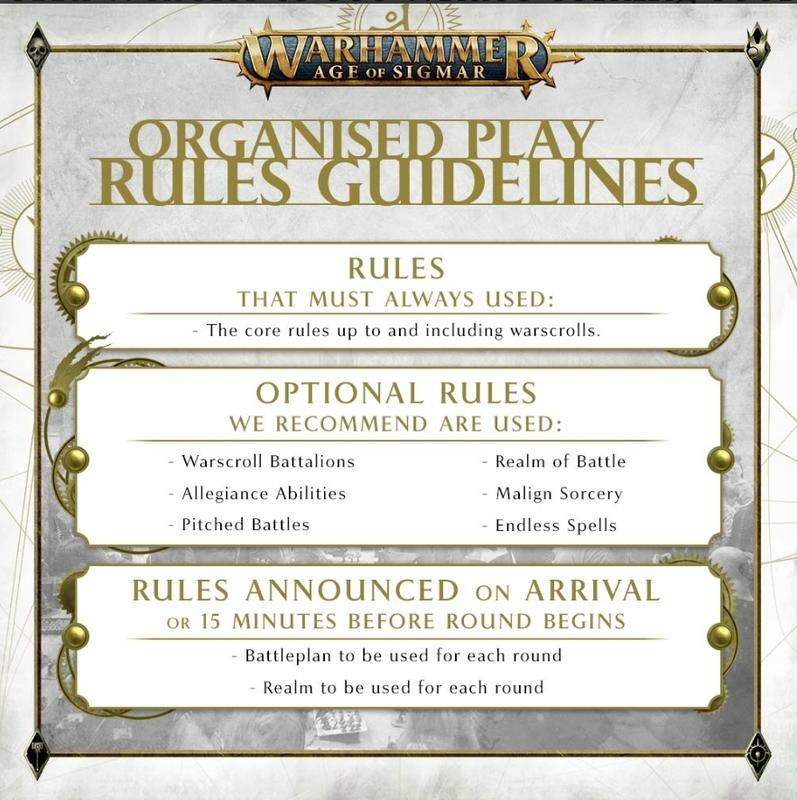 Assuming you use all current rules and equipment then what realm is being used is going to influence the game rules and state as well as how effective various endless spells are. To me mind that gives a reason to allow players to, at the very least, be allowed to change the equipment that their heroes are equipped with and perhaps even have a 100 point sidebar to swap in and out endless spells; rather than taking a fully fixed army to the tournament. Now granted I don't want to see them totally go the path of custom crafting for every battle; but I do think that some degree of flexibility would be important if the actual game itself is going to not only change the objectives, but also the rules and options that the models have and the spells they can make use of. edit - I do agree that the whole Realm aspect does add more random into the game ontop of that inherent within the armies. It does seem to be an approach to fixing balance by throwing more random at the wall Still if GW reacts well to player feedback then in time it might balance itself out enough to a state where it doesn't feel too bad. One bonus is that getting access to the additional realm spells DOES give a benefit to factions that otherwise don't have spell lores; and it also means that allied wizards are more useful as they now have a spell lore to use not just their base abilities and their unbind chance. Exactly why I love the idea! I like it. I wonder what the US tournaments will think, a lot of them have been adamantly against using the realm of battle rules from what I've seen. If they still refuse to use it, I could see GW's suggestion being ignored in the states. I don't play in tournaments and don't really plan to (doing Narrative at NOVA here in the US for example), but this sounds awesome and fun and I regret not using the Realm Rules more often in my own games (I've only played 5). Though I had already planned to use them in my small local tourneys anyway,heh. You cant really adapt if your armys tactic is countered by the realm and your opponent is buffed by it. It doesn't say page 225, it says page 255, which is the correct page. I like this- as others have said it stops people building a list that does one thing very well and I feel like it'll be a bigger test of people's skill. Seems like the US scene is like the 40k scene- winning is everything and anything that makes that harder is not liked, hobby and fluff be damned. Basically. Comp is a dirty word here. They want it to be like an e-sport, only skill matters, yet also want listbuilding to be a huge factor. It does sort of feel like the equivalent of playing football and saying "I'll only play a game on astroturf, with a size 4 ball and if the other teams wear these shoes, if the weather is 19-21 degrees and if it's a clear sky". The whole challenge is the unknowable opponent list, the table and (now) the game-specific rules. It'll be interesting to see reports from tournaments that do use the rules. I love it, for all the reasons mentioned here. I would bet a body part these will be in effect at Adepticon, and I'm looking forward to it. I have traditionally hated "fun" little cutesie rules and scenarios that TOs so often feel compelled to inject into Warhammer. That's not what these are, though. The battle plans and realm rules GW endorses using are straight from them and, it now is clear, are purpose-designed to balance things out. But those lists will still win, some of the most damaging stuff is unlikely to happen so will make no difference for the most part. It will impact a few people each round in a tournament though and those people may be 'net-listers' or may just normal players, and it will probably end their game, whether they are winning or losing. Yeah it could do, I really don't know. I feel it might dissuade people from just netlisting though? It would seem to push the game-winning away from listbuilding and more to the tabletop. I think if GW is going to push for Realm battle rules to be part of the tourney scene then tournaments need to consider introducing a sideboard feature. I like this, and agree that a sideboard becoming a regular feature would be a benefit. We've done something like "submit a 2500 point list, choose 2000 points for each game". Gets a little weird with horde discount units, but whatever. Just had a local tournament last Saturday and we had realm rules with random realmacape that applied. 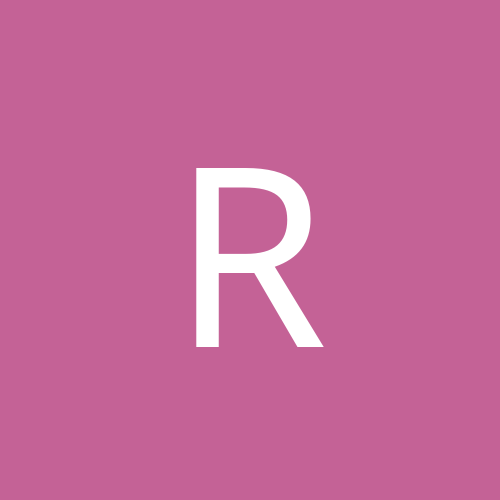 Realm of life has a spell that needs to be errattad. The Mirrorpool spell says to remove the caster from the battlefield and set them up wholly within 18" of their starting location. Unlike other "teleport" abilities, this one has no resriction on movement. I was able to get turn 1 charges with Nagash... Felt real bad about it, definitely needs the clause that it "counts as movement". Other than that we had realm of Shadows with 12" max range, but the ability to move your guys from a Garrison or board edge to another location made this a non-issue, even for the pestilence player with 3 catapults. And we had realm of death with winds of death rule. All in all, everyone enjoyed it, no one thought there were any flaws (except Mirrorpool) in the way our TO ran it and he's setting up another tournament in September with the same guidelines. This article really pushes my interest in this game down. If tournaments start including all of these random rules that make preparing for an event impossible, I'll probably have to go find a different game to get into. If sideboards were a thing that would help. But I really get into the listbuilding aspect of the game and these random rules really kill that and make an optimized list not very optimized. I don't like trying to compete when the random rules make my choices ineffective. You can still optimize, just look through the realms and scenario negatives and positives, what would be bad to take and what is good. Big units - bonus for some objectives, dangerous against some opponents and a realm. Wizards - almost a requirement for secanarios, the more the better, no negatives. If I go to a major tournament wanting to compete at the highest level with the goal being to win, and I build a list that depends on alpha striking and I roll a realm that prevents that from happening and I lose the game and have no shot at winning the event because of that random realm roll, I'd just as soon not spend the money on hotel, travel, and the time spent for nothing. The point of this article and realm rules is to build more versatile armies than one trick ponies. That's literally 1 way to play. If you only enjoy playing with an alpha strike list, then I'm surprised you haven't had other issues, there's quite a few counters to alpha strike. If you only want to win and the hobby and fluff mean nothing, surely AoS was never the game for you anyway? I mean I'm no gatekeeper for the hobby, people can play as they want, but what you've described is such a narrow, singular way to play a game that has a limitless combination of game possibilities, it really doesn't feel like you're taking advantage of what AoS has to offer.